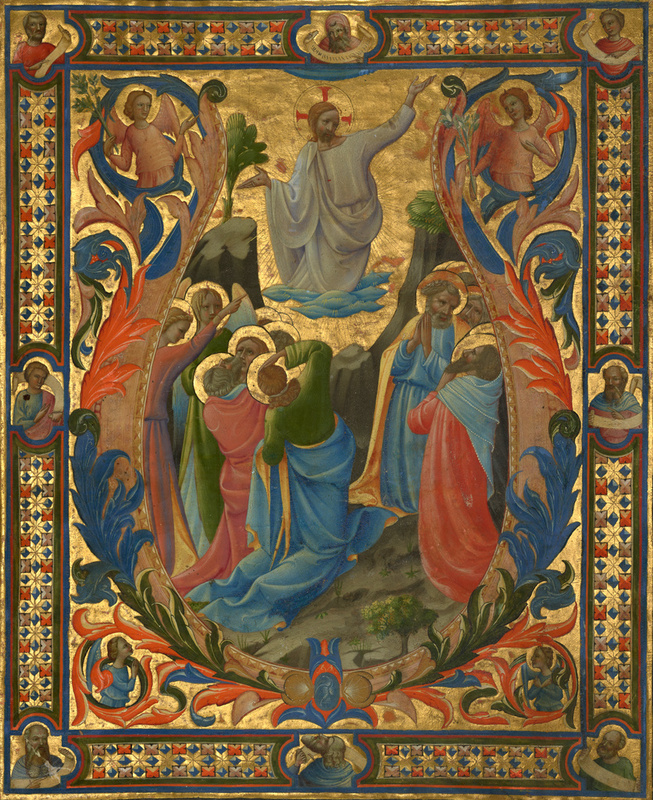 The twelve apostles gather at the center of this letter V and gaze up in amazement at Christ, who rises into heaven on a blue cloud. The upward sweeping motion of the colorful acanthus leaves that climb up the form of the letter reflects and enhances Christ's movement. While the figures' gestures and drapery are naturalistically portrayed, the scene is set against a highly polished gold background, which lends it an otherworldly feeling. This elaborate initial, which originally began the chant for the feast of the Ascension, came from a large gradual made for the monastery of Santa Maria degli Angeli in Florence, of which Lorenzo Monaco, the designer of this image, was a member. Zanobi di Benedetto Strozzi and Battista di Biagio Sanguini probably painted this initial more than a decade later.